The man born as David Michael Hasselhoff has been a number of things over the years. 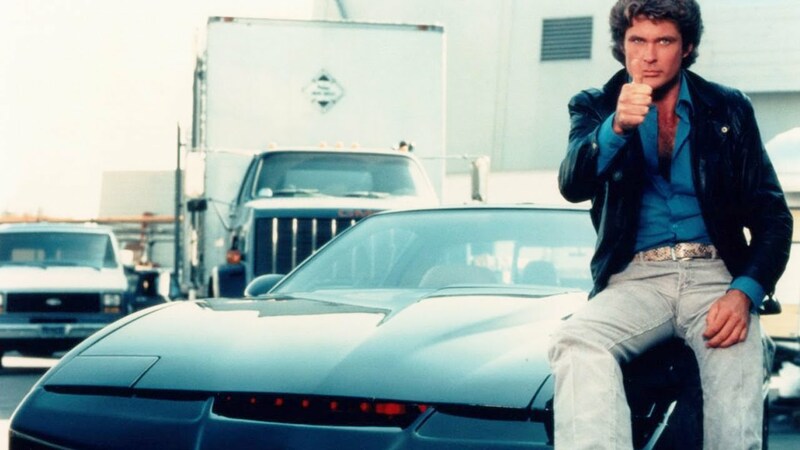 In the 80’s, he wore a mullet as Michael Knight and drove a cool talking car named KITT in “Knight Rider“, and in the 90’s saved people as a L.A. County lifeguard Mitch Buchannon in “Baywatch“. He even made it big as a singer, broadway actor, and celebrity judge who adopted the nickname “The Hoff“. Now, it’s all well and official – Say goodbye to the “Hassel” and hello to David Hoff! 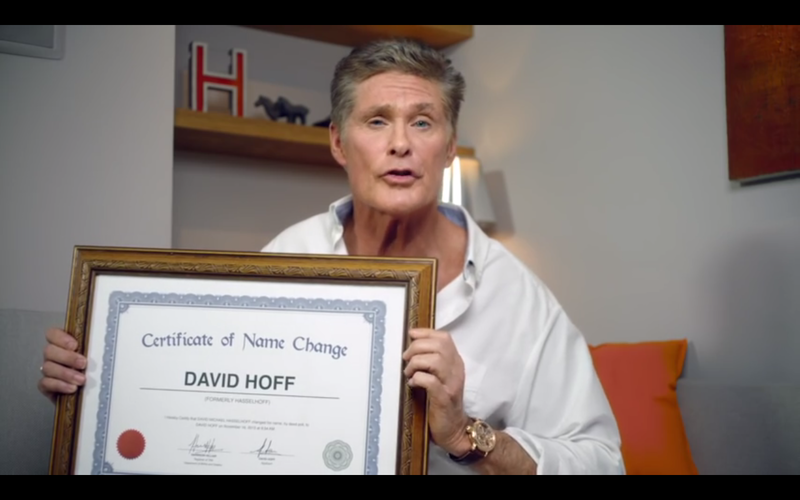 In a short YouTube video message released by the star himself, David shows off his official Certificate of Name Change and formally announces that he is, at 63 years of age, now David Hoff. The star attributes the decision due to the fact that his nickname, “The Hoff” is much more recognizable and lucrative. He even said during an interview with The Guardian last June that “he goes where The Hoff goes… And it’s SO MUCH MORE FUN”. 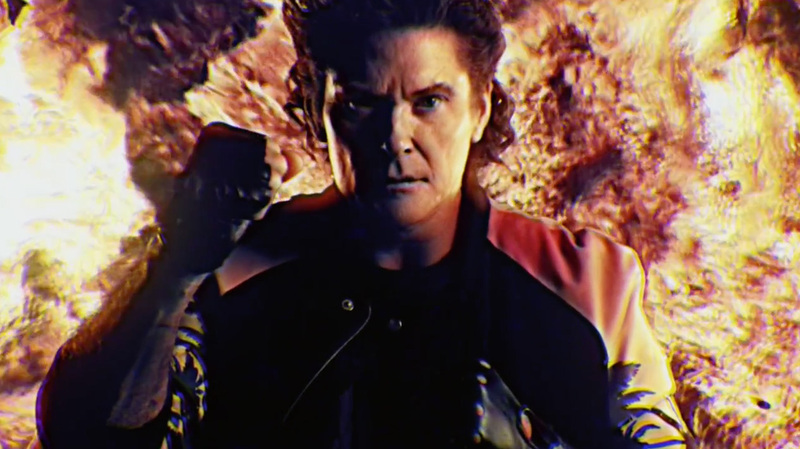 Recently this year, The Hoff also appeared in the hit 80’s tribute short film “Kung Fury“, where he performed the official theme song called “True Survivor“. “One Man Can Make A Difference” indeed. Welcome, David Hoff! Previous articleWATCH: UnGeek tries out FALLOUT 4 and it’s AMAZING!